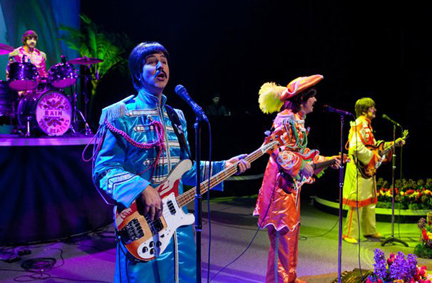 As “the next best thing to seeing The Beatles!” (Associated Press), "Rain" performs the full range of The Beatles' discography live onstage, including some complex and challenging songs that The Beatles recorded in the studio but never performed on any stage. Together longer than The Beatles, "Rain" has mastered every song, gesture and nuance of the legendary foursome, delivering a live, note-for-note performance that’s transporting. Like The Beatles, the onstage members of "Rain" are not only supreme musicians, but electrifying performers in their own right. For information and tickets, stop by the Wang box office, call 866-348-9738 or visit www.citicenter.org.